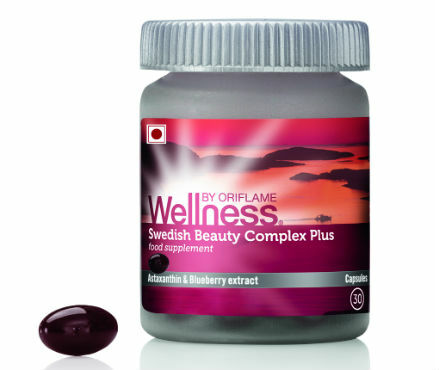 New Delhi: Oriflame India, the leading cosmetic and skincare brand announces the launch of its latest and most path-breaking product in the wellness category – Swedish Beauty Complex Plus. It is an advanced amalgamation of antioxidants that promise to protect every cell of the human body against free-radical damage. An enhanced immune response, improved skin and evolved endurance are just some of the benefits that regular use of Swedish Beauty Complex Plus will show. The product contains a blend of antioxidants derived from an algae of the Swedish archipelago & blueberries found in Swedish forests. Astaxanthin is one of the most powerful fat-soluble antioxidants known to mankind and it forms a key component of Swedish Beauty Complex Plus. Derived from algae found in the Stockholm archipelago and known as the king of antioxidants, Astaxanthin is instrumental in helping the algae survive harsh conditions and has a similar effect on the human body’s cells.Owing to its mechanism, it helps protect human cells from both inside and outside against free radicals that cause damage to the cells resulting in premature ageing. Astaxanthin is said to be 100 times stronger than Vitamin E, 550 times stronger than green tea catechins, and 5000 times stronger than Vitamin C.
Regular consumption of antioxidants has become imperative, especially in an environment such as India’s which is fraught with pollutants and radiations from the sun, factors which speed up the oxidation process inside our bodies. Oxidative stress is at the heart of the ageing process and also greatly weakens the immune system,making the body more vulnerable to several diseases. In such a scenario, antioxidants are the only magical tool available to us to fight free-radical damage and enhance skin elasticity, immunity and cardiovascular health. By bringing together some of the most powerful antioxidants known to man, Oriflame’s Swedish Beauty Complex Plus helps to maintain a stronger body and a healthier skin.